Are you looking for a giveaway to both promote your company and let your customers know you care? 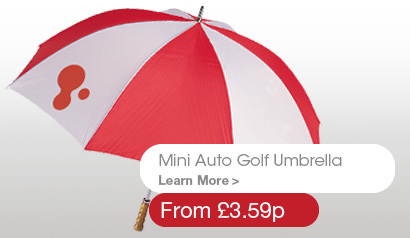 Then look no further that a promotional umbrella! In the rainy climate of the UK, a promotional umbrella cannot be beaten as a practical giveaway, and is one that will be appreciated by everyone! A (not so mini!) walking billboard, a promotional umbrella will carry your brand message far and wide on one of the largest canvases around. 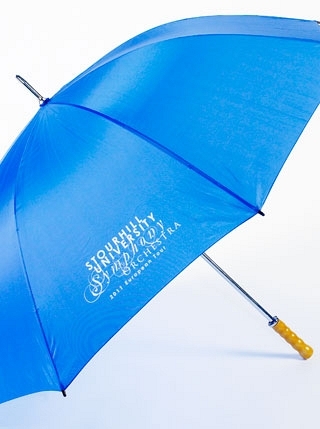 Not only will your customers be appreciative of the gift, you company values will shine through with you choice of promotional gift; an umbrella indicates stabilty, practicality and a desire to protect and put your customers first. 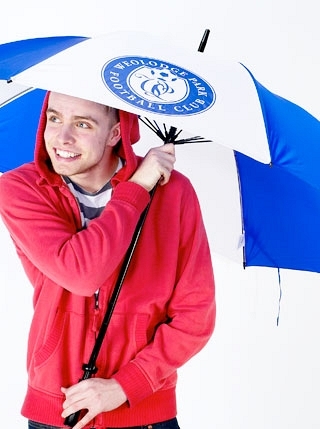 At Yes Gifts, we have a huge range of promotional umbrella options available, from budget to high end, compact to huge golf varieties and even gazebos and parasols; whatever your requirement, we will have the promotional umbrella for you.